Houston Race for the Cure! 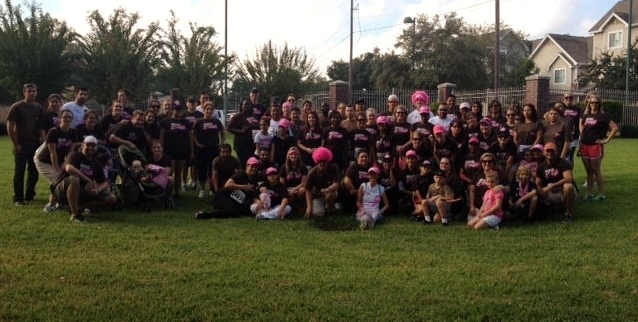 A big thanks goes to our Houston/Beaumont regions for participating in the Houston Race for the Cure on Saturday, October 6th. We had a great turnout of 86 who raced for the cure! For the 2nd year in a row, Kristi Gillespie was the highest Houston Fundraiser bringing in $637! Congrats to Houston’s other fundraisers: Laura Gomez (raising $440), Brandi Polvado (raising $300), Melissa Jewkes (raising $160) and David Williams (raising $100).